Microgrids: Why are they gaining in popularity, what part does storage play? UGE is an organization focused on providing commercial and industrial customers with more affordable, reliable electricity. 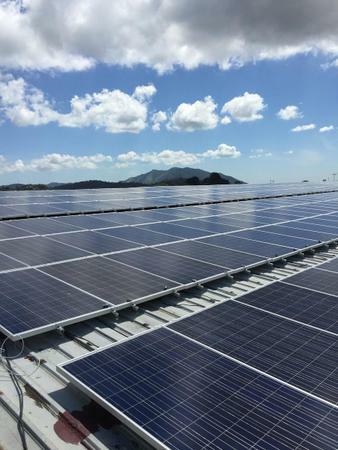 A big part of the company’s focus is in microgrids. 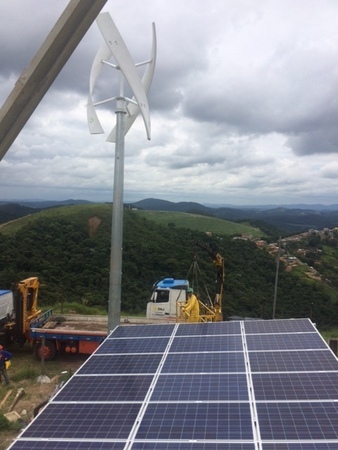 They’ve installed renewable-powered microgrid systems for telecommunications towers in remote areas from Brazil to Jordan, as well as for U.S. businesses in need of critical load backup power. 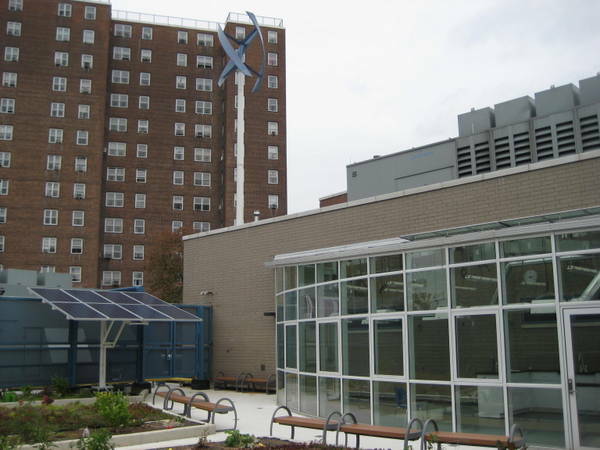 In May 2015, UGE won part of the $30 million RISE:NYC award to increase the resiliency of businesses affected by Hurricane Sandy, and the company is currently at work developing 17 microgrids for small businesses throughout New York City. So we thought, “hey, let’s chat with UGE about the microgrid marketplace.” Below is that conversation with Arjun Gupta, NABCEP Certified PV Installation Professional and Senior System Design Engineer at UGE International. Solar Builder: What are some of the big markets for microgrids right now? Gupta: Currently, the majority of microgrids in the United States are installed at universities, hospitals, military bases and other areas that require energy security for critical loads in the event of an outage. However, microgrids can be useful to a variety of customers, such as police stations, grocery stores, manufacturing facilities, warehouses and more. Microgrids can also span several locations over a small geographic area; these are known as a community microgrid. They can also be “off-grid” in remote locations that do not have access to the central grid, such as individual telecommunications towers or large island communities. Microgrids are becoming an increasingly popular alternative to a total reliance on the centralized utility grid, or macrogrid, for a number of reasons. The ability to access secure and reliable power has motivated institutions like hospitals and research facilities to install these systems because they often cannot afford to lose power to critical loads during an outage. As extreme weather events and grid outages increase, more businesses are turning to microgrids to avoid costly business interruption. Beyond back-up power and resiliency, microgrids are also useful for optimizing the use of on-site renewable energy, lowering pollution and providing services to stabilize the existing grid. By integrating distributed renewable energy (DER) with storage, consumers are able to consume the energy they use closer to where it is produced, rather than feeding into the utility grid. For customers who use DER and storage to offset or replace diesel generators, they can also reduce emissions and reduce the money spent on diesel fuel. For utilities, microgrids can help increase grid reliability through various applications, like frequency regulation and voltage support. SB: Microgrids aren’t a new thing, but they seem to be gaining in popularity – why do you think that is? Gupta: As the technology keeps advancing to better support an increasing number of applications, we’re seeing more companies turn to microgrid solutions. 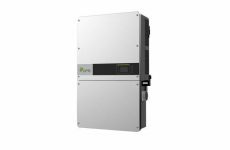 What was once a niche market focused on off-grid or backup power supply is now one that provides benefits behind the meter to customers and in front of the meter to local utilities. Behind the meter, microgrids can help consumers avoid costly demand charges or time-of-use pricing by storing power when it is cheap and deploying when it is more expensive. For utilities struggling to cope with increasing the penetration of DER, storage offers services to regulate voltage and frequency, as well as cope with demand response during peak usage. Price is also a factor. Since 2009, the price of solar has fallen 80 percent, as mass adoption produced economies of scale. Storage is at the beginning of a similar decline, as the costs for batteries are falling along the same curve that solar once did. For example, looking at just lithium-ion battery technology, we’ve seen prices fall almost 40 percent since 2010. Additionally, smarter monitoring and control systems allow for greater communication between DER systems, batteries and the grid. Microgrids make attractive investments due to their modularity and flexibility. As component systems, they can be easily scaled. There’s no need to build additional, complex power plants to achieve increased capacity. SB: What are some keys for developing a microgrid? Gupta: The most critical information to know is the expected load profile of the customer or site, and their goals for the system. During the design phase, it’s crucial to match the appropriate technology with those goals. For example, lithium-ion batteries are better for applications that require higher power over shorter periods of time, like demand response, while valve regulated lead acid (VRLA) batteries perform better for long durations, like backup power. On the financing side, a lack of technology standardization can sometimes make financiers uncomfortable. Unlike grid-feeding solar arrays, which are held to the well established industry standards, technology certifications can differ significantly for each component in a microgrid. Additionally, the industry lacks a standard contract for energy storage projects, unlike the PPA models that created a market for third-party-owned systems in rooftop solar. Furthermore, project economics are heavily influenced by unpredictable customer behavior, which can further contribute to uneasiness on the part of financiers. However, when the benefits of using storage are “stacked,” with a system capable of performing multiple applications, the project economics become increasingly attractive, outweighing costs. 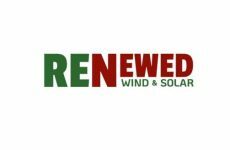 SB: Talk about the storage component in particular: Is there something separates the storage component of a microgrid versus just a solar+storage project? Gupta: Essentially, they are the same, but a solar + storage project is one just type of microgrid. Since microgrids do not always have to include renewables, the majority of currently installed systems are powered by diesel generators (though this is beginning to change). In general, microgrids are defined by their function rather than their size. However, Navigant Research makes a distinction between a “microgrid” and a smaller system, called a “nanogrid,” which they define as: ”a small electrical domain connected to the grid of no greater than 100 kilowatts and limited to a single building structure or primary load incorporating Solar PV and an energy storage device whether for economic arbitrage or islanding resilience.” However, there is no standard definition yet within the industry, so this can be left up to debate.